The Herstal Group, often referred to as “Browning” more often than not, has had the Active valve genre of gas-operated autoloaders on the market for a good long while. It took a long time for Browning to replace the Auto-5 with a successful shotgun, and I've gone through the previous attempts: the gas-operated B-2000 (a sales flop, but I really enjoy my 20 gauge), the B-80 (essentially a Beretta 302-1/2), the A500R nee A500 recoil operated disaster (initially recalled), and the A500G gas-operated version offered only briefly. Though reliable it was one of the strangest fitting shotguns I've ever owned. Meaning, I really didn't understand how it could possibly fit any human being. After all this, at long last came the Browning Gold of 1994. The Browning Gold was also marketed as the Winchester Super X2 in a somewhat plainer configuration. I've owned, and extensively hunted with, at least five Browning Golds. These include a pair of 12 gauge 3" chambered models, one 12 gauge 3-1/2" version, and (at least) a couple of 20 gauge Golds. All have been good performers, providing a couple of tweaks are made. Since then, I've reviewed dozens of examples under the Browning and Winchester nameplates, the flagship model remains the Browning Maxus introduced in 2009: eighteen years ago. For 2017, Winchester has introduced the SX4. The tested example is the basic black 3 inch 12 gauge with a 26 inch barrel. 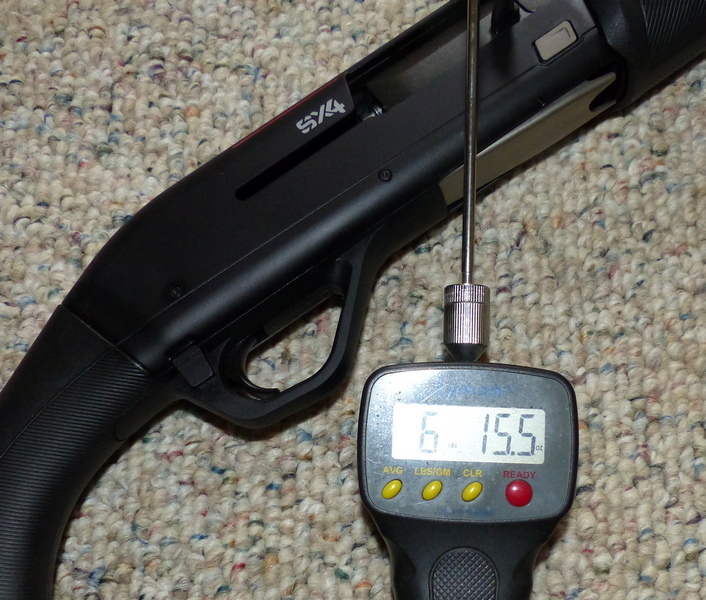 Although the Winchester claims it is lighter, it weighs the same (6-3/4 lbs.) as the SX3 walnut previously tested. The gun weighs 6-3/4 lbs. and its miserable trigger breaks right at 7 lbs. : a ridiculously heavy level. Although Winchester publishes that this gun comes with a “Hard Heel Insert” recoil pad, that isn't the case: it comes with a garishly oversized pad with no insert. No drop shims are supplied, but you do get one thin plastic spacer in the box you can slightly lengthen the stock with. Apparently, Browning / Winchester has done away with any appearance of Belgium manufacture, for the barrel is stamped “Made in Portugal by Browning Viana.” In any way I can possibly grade a shotgun, the SX-4 is a significant downgrade from the SX-3. A complaint about the early Browning Gold and SX2 12 gauge autoloaders was that they were a bit too front heavy. This was rectified in several later models, using a lighter titanium alloy magazine tube. It is back, though, with the SX4: worse than ever. 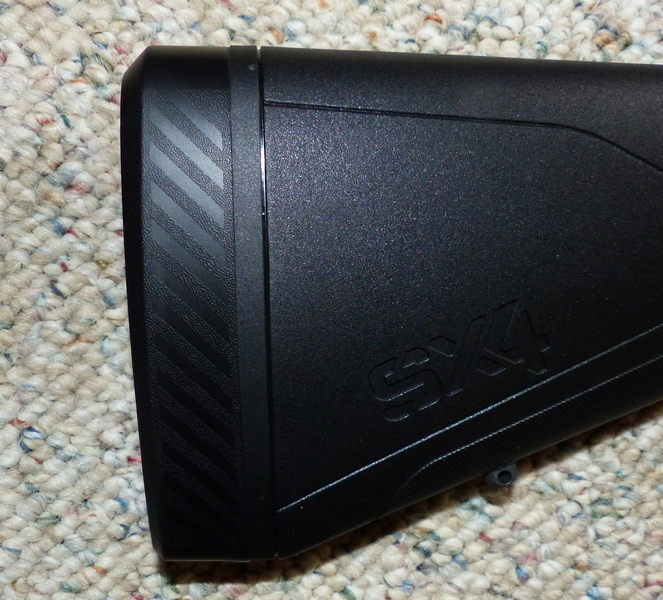 The SX4 is most poorly balanced, nose-heavy Active valve model shotgun I've ever tested. This 26 inch barreled snout-heavy pig is horribly nose-heavy, and the 28 inch barrel versions will naturally be even worse. The other changes are puzzling as well. There is now a rectangular cross-bolt safety that is an eyesore, but works just fine, but no better than previous safeties. There is also a new parallelogram-shaped bolt release that is a bit peculiar looking as well and offers no more utility. The pistol grip is on the truly dinky side: another change that is in the negative category as far as my hand is concerned. 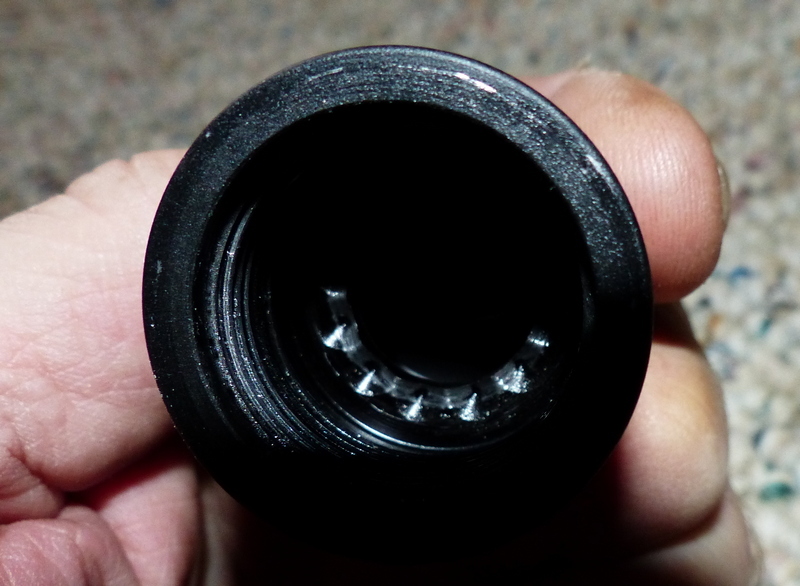 The forearm cap threads (above) are crudely mis-machined and a pain to screw on. This is hardly a condemnation of the entire Active valve line of shotguns, for although they are all plagued with rough, heavy triggers. The pathetic triggers can be improved, and the cheap sourced factory choke tubes can be replaced as well. Someone, somewhere must have thought that this gun isn't tragically poorly balanced and doesn't scream cheap. To me, it is clearly both and a rapid advance to the rear compared to the SX3. With very poor balance and handling, a clumsy, retina-scalding styling attempt, an unacceptable trigger, and an overall cheap, plasticy, low-quality build this is a specific shotgun model that I'll be quite delighted to never handle or shoot again. Anyone would prefer an SX3, a Browning Silver, or a Browning Maxus to this new model attempt. It is the worst, must unsatisfying Browning family autoloader I've had the displeasure of using since the A500R of many years ago. If you want a shotgun in a Winchester box, get an SX3: Review: Winchester SX-3 12 Gauge Autoloader, FN's Best? .